There are still 6 units remaining for sale and you’re invited to come visit the show unit, open every Sunday between 2-5pm. We’ve also created an easy to use rental platform on our website for you to browse and then get in touch with our rental team. Everything’s going according to plan at Madison Place, our next development to be completed in December this year. We are incredibly thrilled with how this building has turned out and we can’t wait to share it with investors and homeowners alike. There are still 8 luxury, 2 bedroom units available for sale so click below to view the price list. Units on the first few floors are also now complete and are available to view by appointment. There are still units available for sale and viewings of the site can be made by appointment, so visit our website to view the details or to book a site visit. One of our most exciting projects that has been a long time coming is now under construction. We’ve already installed all civils on site and are busy completing the showroom. Home building commences soon and we can’t wait to turn this space into a thriving security estate community. 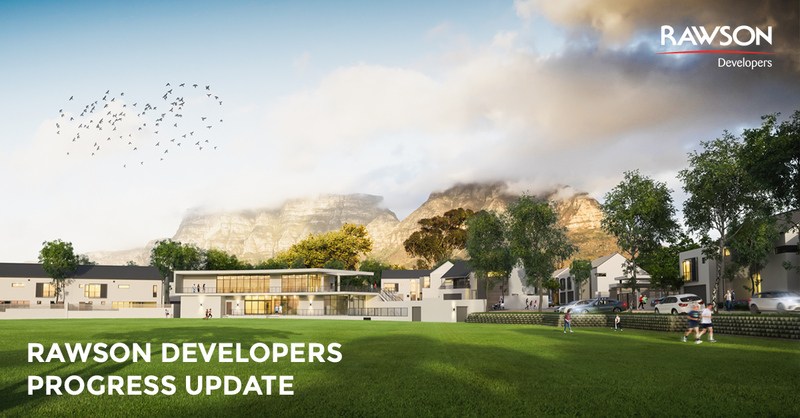 Having launched sales in February this year with an overwhelming response, the site is well on track to meet the February 2019 completion date and things are already underway. Currently the demolition of the existing buildings has commenced and construction is set to start in the coming months.